Long haired cat standing in bronze by Michael Simpson - limited edition. 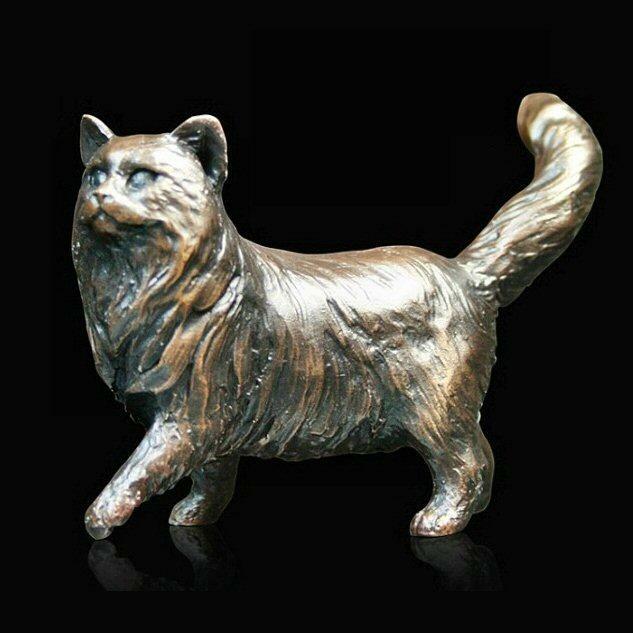 Crafted in solid bronze by one of the country's leading animal sculptors, this endearing cat would make a fine gift. Supplied in a gift box with a soft cleaning cloth and a Certificate of Authenticity that includes the edition number and a short biography of the artist. The edition number is also engraved on the base of the sculpture. fine English bronze, hot foundry cast then hand finished.